Dry Cleaning Delivery Service: 5 Benefits you need to know now! People today are busier than ever and so free time has become very limited. With hardly enough time on hand, the last thing people want to think about is their pile of dirty laundry & other chores. Because of this, many people are thinking outside the box for more convenient solutions to household responsibilities. Over the years, this growing demand for greater convenience has led to the creation of Mr. Timesaver. 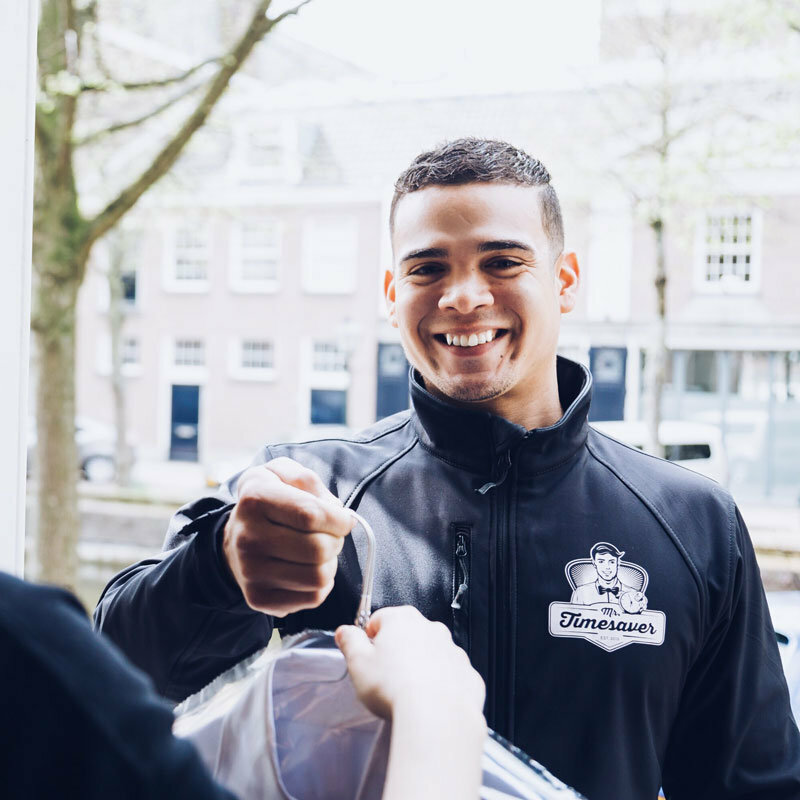 Mr. Timesaver is a professional delivery service in The Hague, Leiden, Rotterdam & Delft and specializes in dry cleaning, laundry, and shoe services. In recent times, many busy professionals, mothers and working parents in general have realized that an on-demand professional dry cleaning and laundry service is actually a necessity. So, what are the advantages of using Mr. Timesaver’s dry cleaning delivery service? Some of the main benefits you gain by using Mr. Timesaver are listed below. 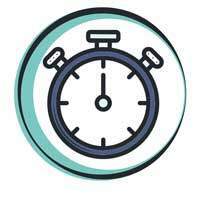 By the end, you’ll understand why and agree with many other busy professionals on why it makes perfect sense to use a service like Mr. Timesaver. 1. Pickup and delivery 7 days a week. Even at night! Is your dry cleaner always closed by the time you leave work? Do you hate having to rush to your dry cleaner either early in the morning before work, or after work? It seems the typical opening hours are not optimized to fit the busy professional’s needs. This is why a service like Mr. Timesaver works so well. You don’t even have to worry about dropping off and picking up your clothing anymore. You can schedule your pick-up and delivery date-and-time at a time that works for you! Even at night with our convenient 1-hour time-slots, from morning until midnight. Using a professional dry cleaning service in The Hague, Leiden, Rotterdam & Delft has never been easier. Another convenient feature of Mr. Timesaver is the same day service option. If you really need to have your clothing back the same day, you can make it happen with Mr. Timesaver. Simply contact customer service at info@mrtimesaver.nl or call at +088 184 6300. To use the same day service option, it is recommended to have your items picked up early in the morning in order to guarantee our partner has ample time to process your items. They will be ready for delivery that same evening! At Mr. Timesaver the standard turnaround time is 24-hours. Pick-up today means delivery tomorrow (some items may differ in the time needed to clean/repair i.a. down jackets). Opening hours are from 7 AM until midnight. You can place your order through the website, email or call Mr. Timesaver 7 days a week at 0881846300. The customer service representatives are available 24/7 to help you with any questions or enquiries you might have. Contrary to many dry cleaning & laundry establishments, coins are not necessary. Mr. Timesaver accepts online payments with: iDeal, PayPal, & credit cards (including American Express). Cash at delivery is also possible, though. Mr. Timesaver is consistently doing more to improve and expand its services. Currently the services offered are dry cleaning, laundry, clothing repairs, alterations, shoe repair service and leather treatment (leather treatment may take longer than the average clothing item). Mr. Timesaver also provides cleaning services for curtains/drapes, carpets/rugs and other household textiles, such as sofa covers. Conclusion: your time is precious. Having a more convenient option for your dry cleaning, laundry, clothing alterations and shoe repairs can make a big impact on your professional and personal life. The truth is, life is hectic and the most precious thing you have is your time. Mr. Timesaver makes it easy for you to look your best all the time. To learn more about Mr. Timesaver click here.